Upcoming Live Stream: Jay Kleinberg on approaches to Cuban Women’s immigration in the US. Central part of La Habana, Cuba called Vedado. The new seminar season is upon us and what better way to begin than with a live streamed seminar. This time around we have a seminar from the Gender and History in the Americas group (see here for their seminar programme). As per usual you will be able to follow the seminar on the History SPOT video and discuss using the chat facility. After the paper is completed you will be able to post questions for the speaker on the chat. To join us visit the History SPOT live stream page at 5.30pm on Monday. The Second Battle of Artois was a failure in the long term with initial victories by the French army draining away by the battles end leading to stalemate. 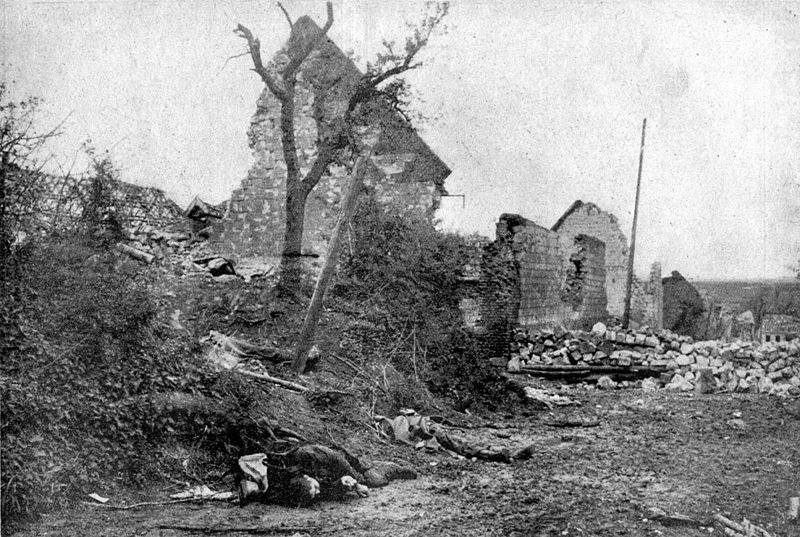 Fought in the spring of 1915 mainly by the French army under General Philippe Pétain (with the British contribution at the Battle of Aubers Ridge), the Second Battle of Artois was the final allied offensive in World War One until September 1915. Back in May 2010 Jonathan Krause argued at the Military History seminar that this battle was a turning point in trench warfare, where the French worked out a strategy which held good until the Germans strengthened their fortifications later in the war. Nevertheless, the doctrine behind French warfare of 1915 was largely rhetoric with little keen strategic knowledge. Krause looks at Note 9579 to understand the strategy and beliefs behind the French push in the Second Battle of Artois. In particular, Krause notes the importance given over to artillery as the primary means of weakening the enemy before sending in the soldiers. Abstract: Unlike staff magazines in private enterprises, which pre-date them by two decades, library staff magazines of the early-twentieth century were more truly the product of employees, operated as they often were by staff associations. The library staff magazine provided opportunities for employees to write – as a pastime, as a form of organizational learning and networking, as a contribution to labour solidarity, and, finally, as a vehicle for personal professional advance and identity formation, though one which contained an element of “othering,” of the public as well as junior and female staff. Until recently Richard Ovenden was keeper of special collections at the Bodleian and it is with that hat on, that he talks about the rise and impact of digitisation at Oxford. Ovenden believes that the Bodleian might well have been the first (or at least one of the first) libraries to own a website which has helped to put them into a position at the forefront of digitisation. Admittedly, a large portion of that success also relates to the fact that the Bodleian has a large and unique collection upon which companies, including Google, wish to digitalise. Digitalisation attempts began at the Bodleian in the 1990s with what at the time seemed liked large digital project, but which now look relatively small. Expectations have changed and this brings with it changes in scholarly trends and some major implications for special collections and archives. It is these subjects that Ovenden talks about in this session of the Archives and Society seminar. Working with Google the Bodleian collections, alongside an initial 4 other libraries have had large portions of their collections digitalised and made freely available online. These have all been books that are in the public domain and out of copyright. It would seem that after the initial approach by Google that caused outrage from authors, their lawyers proved more cautious in identifying out of copyright material, than Bodleian’s own librarians. Other projects have involved Proquest amongst others, plus of course EEBO and ECHO, from which the Bodleian has a large representation. They are now also part of the EEBO Text Partnership project that is trying to semantically mark-up these early published texts using accurate encoding techniques. Another in-house project for the Bodleian is to try and draw together various digitalisation projects that they have undertaken in the past and now look quite tired, under one updated interface. When Ovenden moves on to look at changes in scholarly trends he looks at expectation, and of how digital copies of journals are now always expected, and monographs, other books and even original MSS are not that far behind. Nevertheless, the Bodleian’s physical collection is still well utilised. The library floors are still busy. Digital has not yet taken away from the physical. Ovenden also discusses born-digital archiving and the changes in technical knowledge and expertise that is required to be successful in this regard. There is also a warning here over the use of commercial social media and cloud computing services – the licences may well one day lead to issues over the ownership of data. This is certainly something that we should be careful about. How do you add value to the research process? What purpose is there for digitalising? Should scholars be involved at an early stage (i.e. should archives be approaching successful academics for their digital and traditional archives before they have finished using them)? This is a guest post by Kathryn Hemingway, one of IHR Digital’s summer interns from the University of Leicester. It is evident in the historiography of antislavery that the topic has been somewhat isolated from other aspects of British rule. However, central to Wyman-McCarty’s seminar is the argument that contemporaries of the 18th century drew parallels between the injustices and instances of violence associated with the trans-Atlantic Slave Trade and the oppressive British colonisation of India via the East India Company. Linking these two issues was the fear and expectation of divine retribution for Britain’s crimes of decadence and exploitation, and the problem of imperial morality. Wyman-McCarty points to a number of key figures in the opposition to antislavery and suggests that their antipathy was not limited to the Slave Trade. Rather, the underlying issue was the power and immorality of British autonomy on the peripheries of the Empire. As such, throughout the 1780s, representations of British power in these separate regions were often analogous and investigations undertaken to ascertain their legitimacy were undertaken contemporaneously. Despite this, the historiography of antislavery and the British presence in India is characterised by a demarcation of the two – though it may be valuable to consider them in unison as part of a broader context of British imperialism. He further asserts that it was the American Revolution which catalysed a shift in how the management of the two areas was perceived. Wyman-McCarty attempts to address this gap, providing interesting examples of how antislavery and opposition to the actions of the East India Company were often condemned in the same way, before concluding that antislavery groups were often also concerned with other acts of imperialism. Geoffrey Levett is not just an historian, but also a tour guide in London. This topic is therefore one where Levett is very much at home. Tour guides create a narrative about a place and have to try and convey meaning to streets as they take their tourists around a place. In this talk Levett looks at the historical development of guides in London and its move into an industry. He also looks at how and why guides seek out stories and understanding of a place. Levett basis his evidence upon a series of interviews he has carried out with tour guides, his own experiences, and the wealth of literature produced by guides over the years. He looks at regulation but also individual representations of a place. The syllabus often represents London in terms of progress and of national greatness, but not all are inclined to follow this to the letter. Similarly the development of Westfield Strafford represents both a new challenge for guides as well as uncertainty over the focus: should they talk about the regeneration of the region at the expense of past histories? Levett also discusses the difficulties in representing monarchy clearly, especially during events such as the changing of the guard. In the end, however, guides must tailor their talks to the expectation of tourists. Much content therefore is about things that people already know (or think they know), however this must be mediated with unexpected information about an area to maintain interest. It seems that the role of the tour guide is complex and is an interesting way into the history of London. They are part storytellers, part tourist industry, and part history of the area themselves.